Single Use (Disposable) Cameras are as popular as ever for social events and other applications - the beauty of these cameras is that nobody can delete what they shot!! After the event you can process and see the un-edited record. They are also popular for activities where it is undesirable to risk expensive phones or cameras. These quality disposables can deliver exceptionally high quality images. If you are planning an event, don't be tempted by cheap disposables on ebay and elsewhere as they are often loaded with old outdated film and the results are often very disappointing indeed. 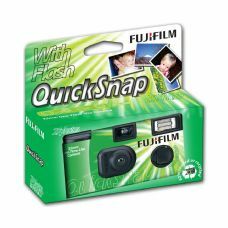 Furthermore, these cameras house a very powerful capacitor for the flash and some cheap quality cameras have been known to come open and they can deliver a very nasty electric shock to the user, inflicting burns in extreme cases.